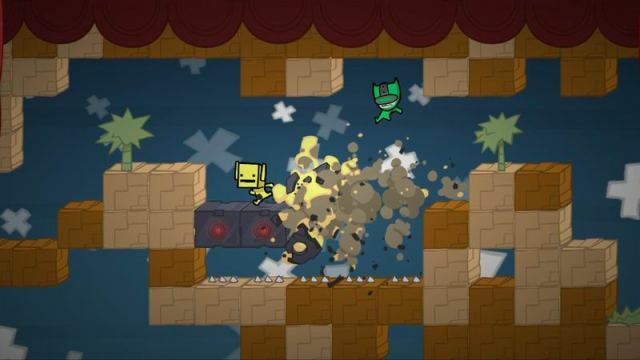 Three years ago today The Behemoth gave us Castle Crashers, a game that truly brought the brawler back to the limelight. 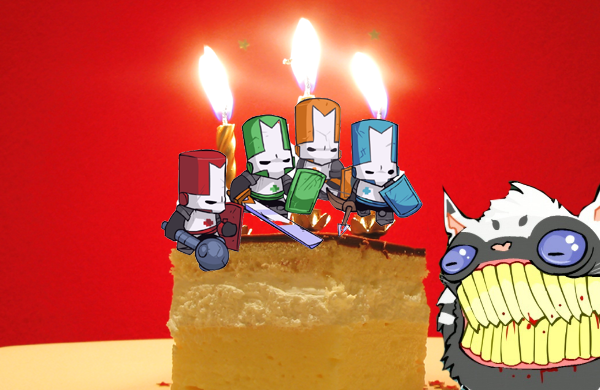 It’s hard to believe that the four colored knights have been hacking away at enemies for that long. Congrats, The Behemoth, on all your success (over two million served!) and we wish you the best in the future! 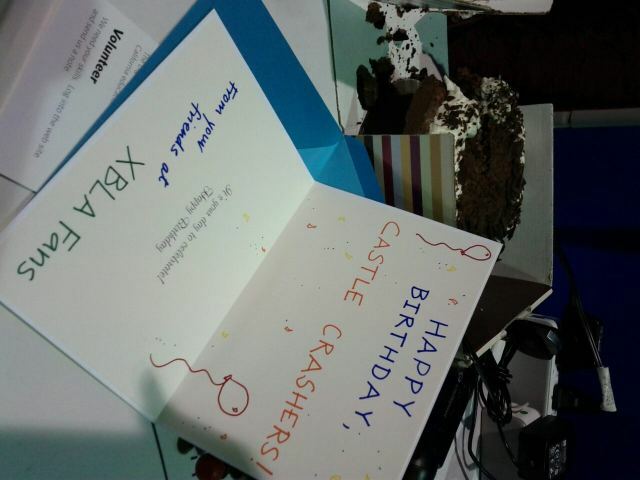 Thanks to The Behemoth for posting a pic of the card we dropped off. Only one of us made it to PAX, but rest assured it’s from all of us! Big thanks to our Consulting Editor Kaitlyn Chantry for presenting the card and cheesecake. Ain’t she a gem?